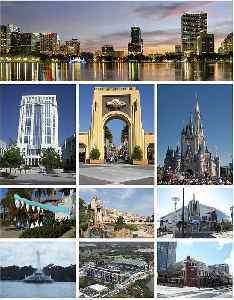 Orlando is a city in the U.S. state of Florida and the county seat of Orange County. Located in Central Florida, it is the center of the Orlando metropolitan area, which had a population of 2,509,831, according to U.S. Census Bureau figures released in July 2017. 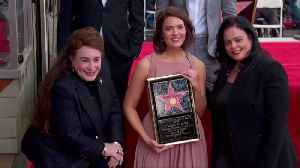 These figures make it the 23rd-largest metropolitan area in the United States, the sixth-largest metropolitan area in the Southern United States, and the third-largest metropolitan area in Florida. As of 2015, Orlando had an estimated city-proper population of 280,257, making it the 73rd-largest city in the United States, the fourth-largest city in Florida, and the state's largest inland city. Pascal Siakam had 30 points and 11 rebounds on a night when Kawhi Leonard struggled shooting, and the Raptors took Game 3 in Orlando 98-93. Kawhi Leonard scored 37 points as the Raptors routed the Magic 111-82 to send the first-round series back to Orlando tied 1-1. One day before the Federal Aviation Administration gets ready to inform lawmakers of plans to overhaul safety oversight, a Boeing 737 MAX was forced to make an emergency landing due to an..
WWE announced on Thursday that WrestleMania 36 will take place at Raymond James Stadium in Tampa, Florida on April 5, 2020. 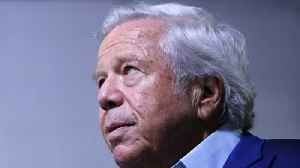 The three previous events include WrestleMania XXIV in Orlando in 2008,..
Robert Kraft was charged Monday with two first-degree misdemeanor counts of soliciting prostitution.